Wowowowow! This box has it all! 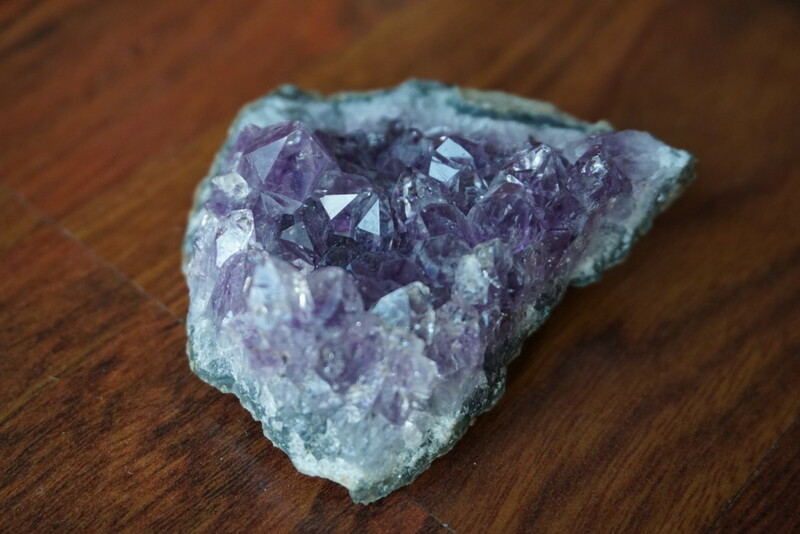 Healthy snacks, fun skin care and the best part is the surprise rock that comes in the mail. 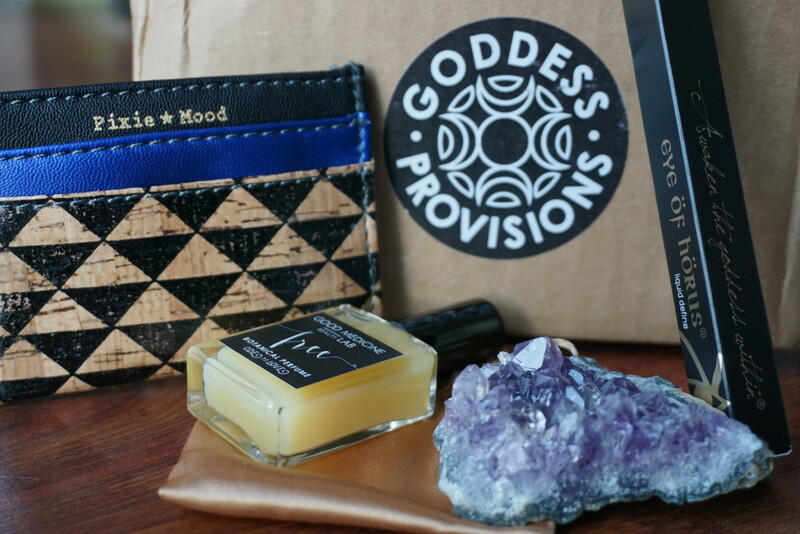 I was lucky to receive a box from Goddess Provisions, they are all about taking time for yourself and enjoying the simple pleasures. I sure enjoyed this box. The best part is every item is VEGAN, so you can definitely indulge in every single item! You can see it came with a little card highlighting the items inside. 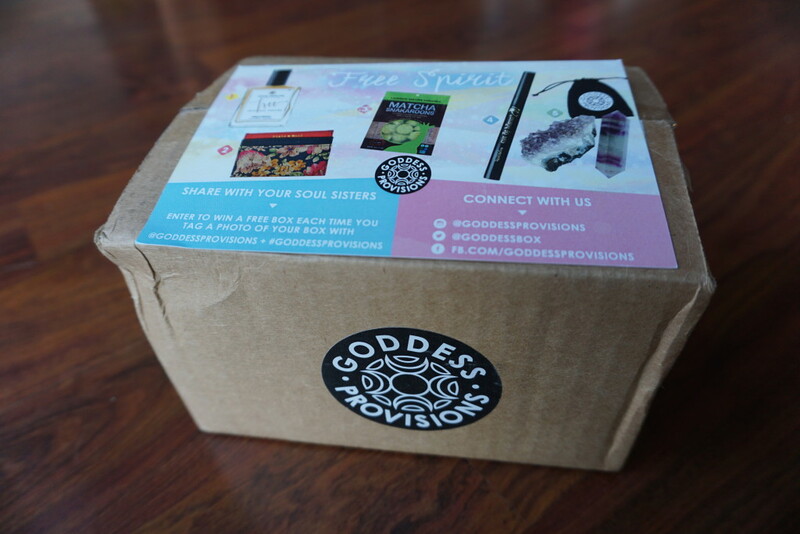 In this box I received an amazing liquid eyeliner from Eye of Horus Cosmetics, coconut snackaroons from Laughing Giraffe Organics, a yummy rich vanilla, blonde tobacco, rosewood travel fragrance from Good Medicine Beauty Lab, an adorable card holder from Pixie Mood, and my favourite is the amethyst cluster! You can tell these are quality items, even from first glance – carefully picked for this months box. 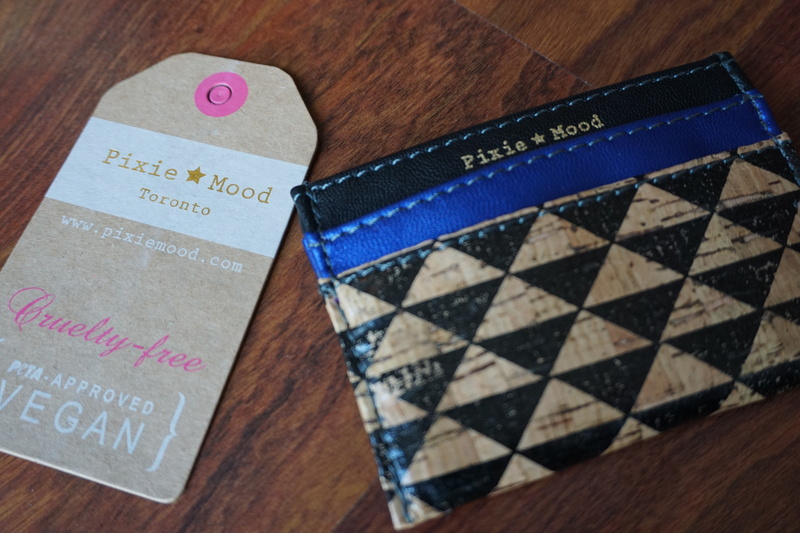 I was so happy to see the Pixie mood card holder because it is a Canadian brand and I love supporting local brands! I was so surprised to see it but it is just my style and I carry it everywhere I go! The Eye of Horus liquid liner is AMAZING! I use liquid liner every day, switching from inexpensive Revlon brand to Kat Von D brand recently. I am enjoying this liner so much, it doesn’t much and isn’t shiny like a lot of brands you get out there. As someone who does winged tips and hates to mess up, this little felt tip is perfect! You get the perfect point every time. I was so happy to see FOOD in this box. hahah. 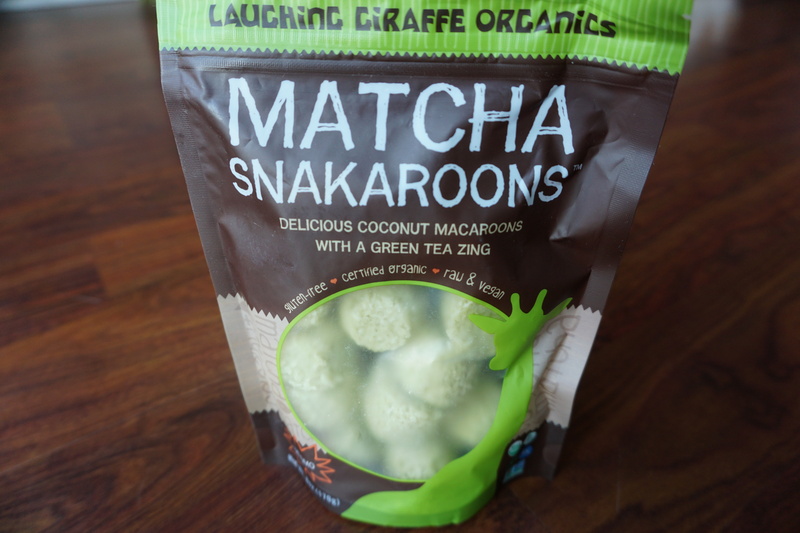 I am not a big fan of matcha but this bag convinced me. The flavour of matcha is very light and the coconut macaroon stands out a lot still. I was super excited to open my Yogi Surprise box this month, it’s like getting a box of toys every single time! 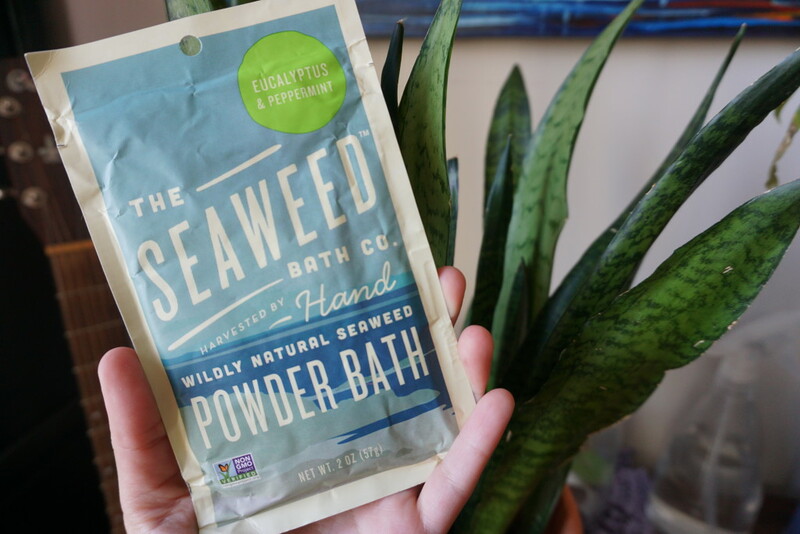 This time I was happy to find a bath powder from The Seaweed Bath Co because I LOVE taking baths and especially after a long day at work or doing yoga, a bath can really help me relax and let go. Doesn’t it look so cool!? I had to open it immediately and got a huge whiff of seaweed so if that’s your thing then this is for you. I’m not as huge of a fan of seaweed as my boyfriend but the smell subsided and it just smelled like the ocean, and I love the ocean. I am always trying new bath items like salts, powders and bombs. I believe changing it up a bit helps the skin and you get to experience something new every time which is fun! You can see it looks like little crystals and is a lovely seaweed green. 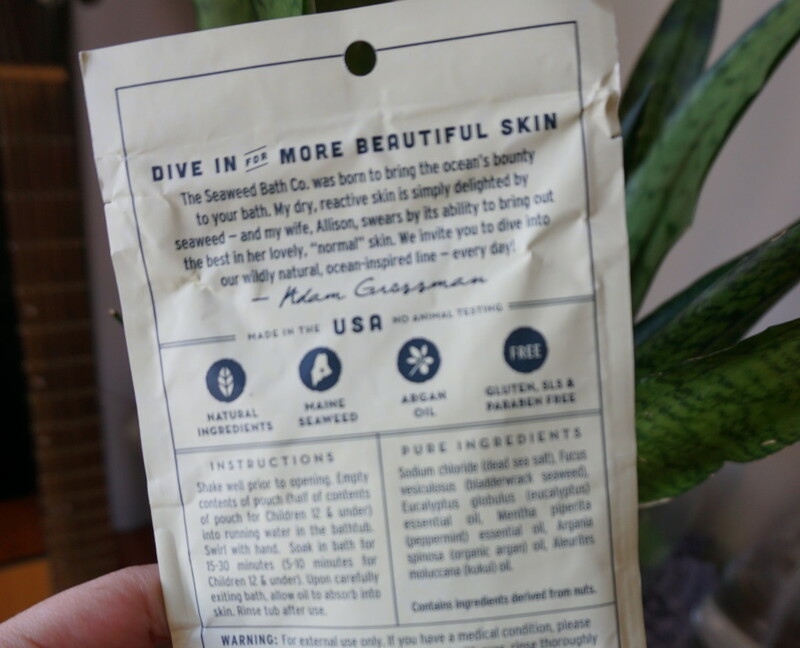 They select only the best hand-harvested, brown seaweed and enhance it with nourishing ingredients like Argan Oil which is revered worldwide for its moisturizing and soothing properties; it naturally comforts your skin. It is also rich in vitamin E, essential fatty acids, kukui oil, linoleic and linolenic acids – a potent natural moisturizer that helps soothe your irritated skin. There is a slight scent of citrus that releases when you add it to the bath, but the seaweed smell still trumps that! 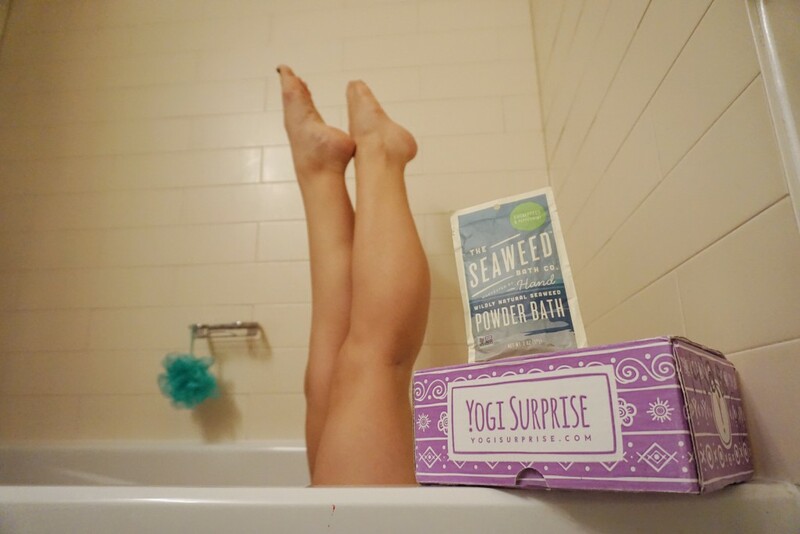 I had to do some bath tub yoga with my YogiSurprise Box and Seaweed bath powder, of course! I enjoyed this bath, it was calming and made me feel under the sea at the Caribbean!! 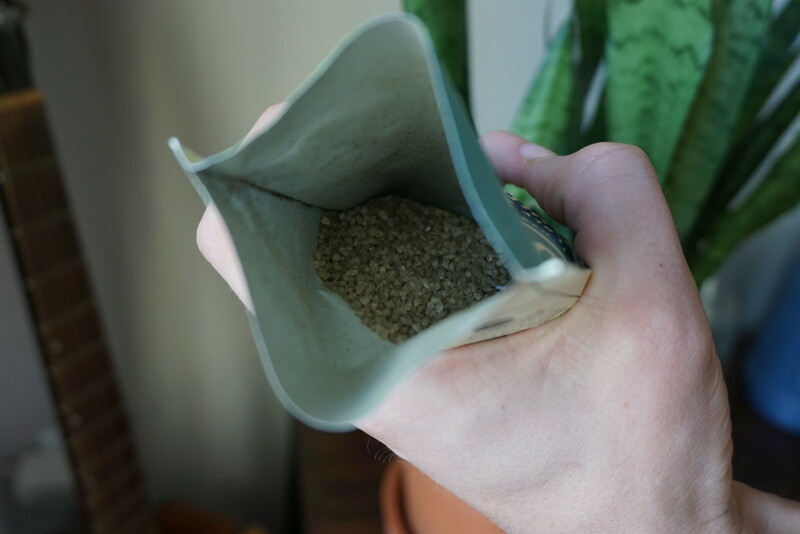 And I was so happy I got to try it from my April Yogi Surprise box!